Since UltimateBet moved over to the Cereus network their players have doubled to more than 2 million players. 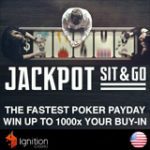 Ultimate Bet also has all the latest up to date poker room features from creating private tournaments, rabbit cam, timebanks, Personal Avatars and Custom Table Skins. 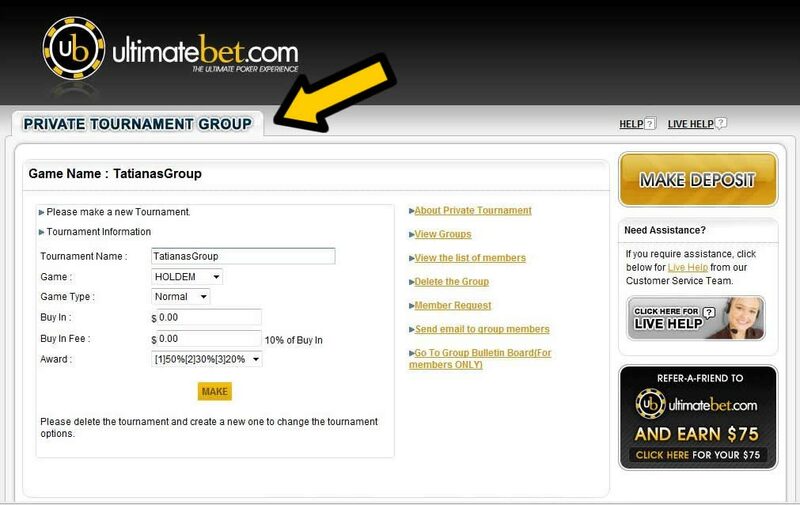 Download and use WAP as your Ultimatebet bonus code to experience the new upgrades and changes for yourself. 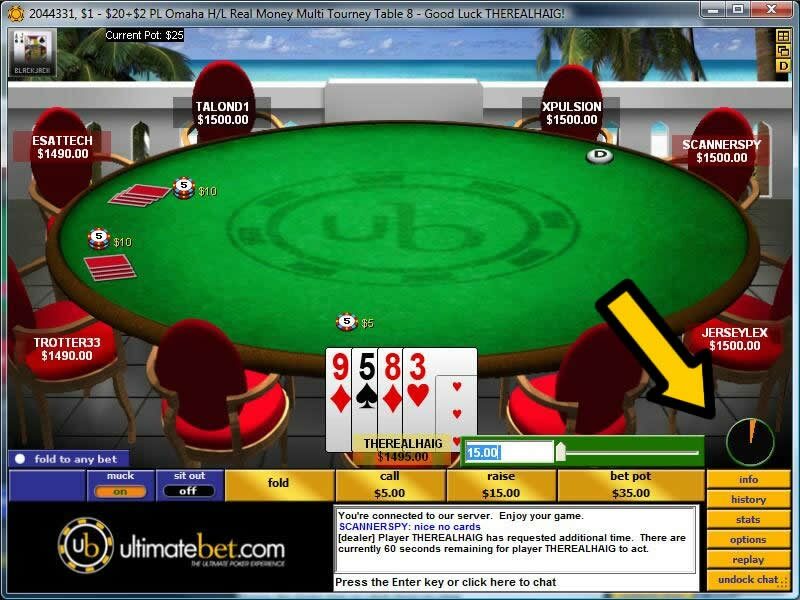 Having more players online, UltimateBet Bad Beat Jackpot tables have much bigger payouts with the Bad Beat Jackpot standing at $623,680 currently. There are also many more added ring games, Sit n Gos and larger tournaments due to the traffic increase. 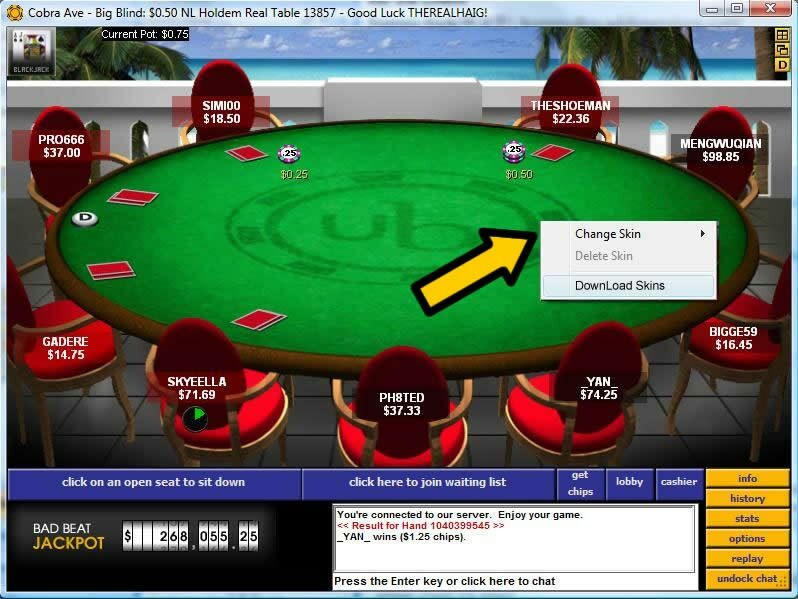 There have been many features added to the UltimateBet poker software including extra stability and security to make your game more enjoyable. 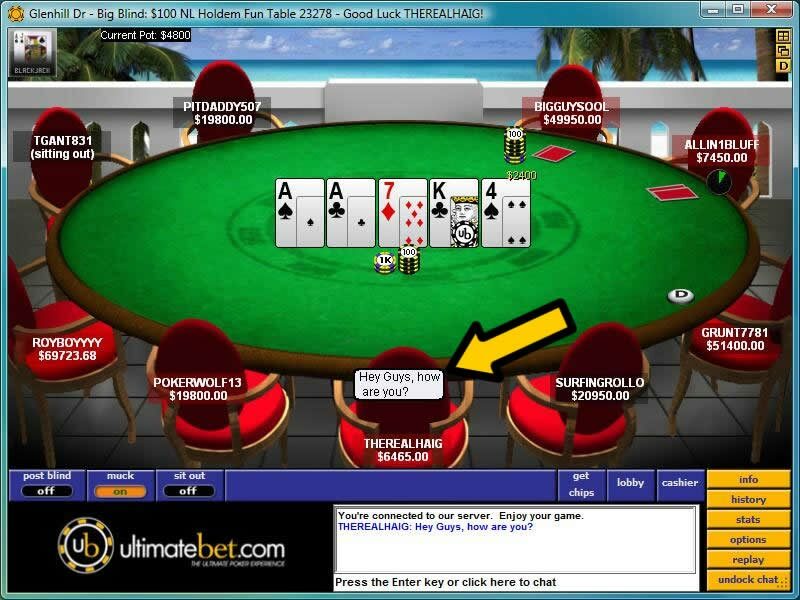 You can now work out deals on the final table. 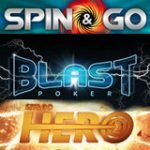 Check up on your game play history from each table or tournament you play. You can also save your hand history on your computer plus send it to your e-mail address. 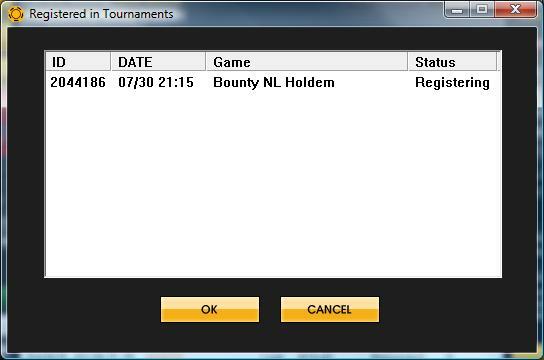 Keep track of all those tournaments and satellites you have registered and qualified for. 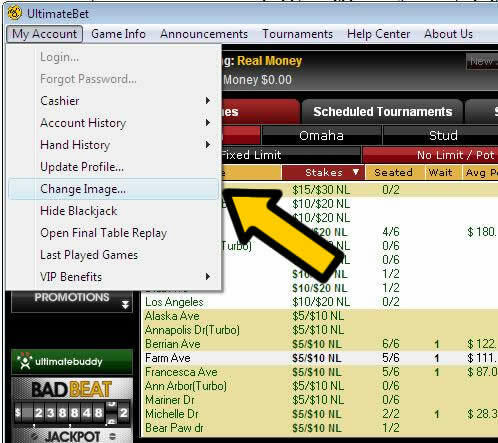 Find those tables and tournaments with ease the new filtering systems shows what you select. 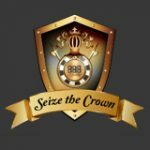 Creating your own private tournaments including your personal invitation list. Ultimate Icons or Ultimate Legend can create private tournament groups and join up to 4 other private tournament groups. 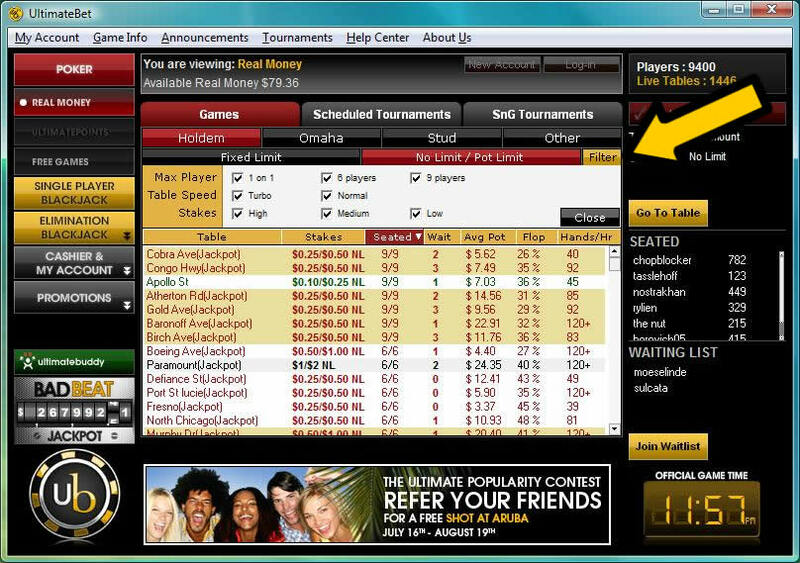 You can now fully customize your table to suit your needs and create the ultimate poker experience. A simple version of Player chat with the easier to use chat bubbles. 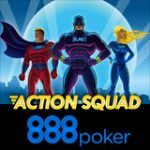 Upload your avatar to personalize your account and show the competition your meanest Poker Face. 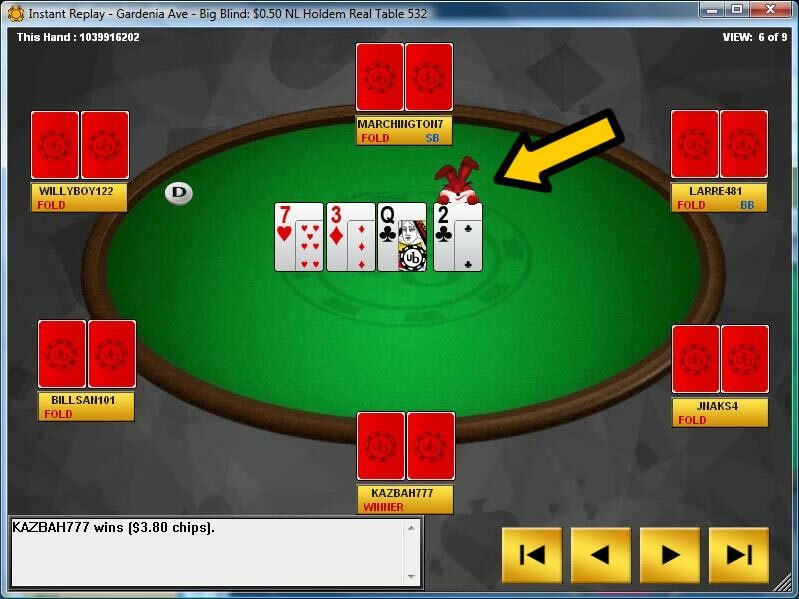 Rabbit cam lets you know what the next card dealt could have been after the flop or turn card if the hand was not completed. 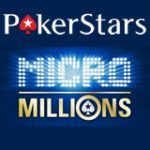 Helps you keep track of your odds and how a hand would have played out. Enable Rabbit Cam by selecting Options in the menu then select the Rabbit Cam.